ICAP Leopard, the 100ft super-maxi racing yacht owned by Helical Bar PLC chief executive Mike Slade, today announced the required weather window for her record attempt has finally arrived. She will leave New York on Saturday 29th May in her bid to become the fastest monohulled sailing vessel ever to cross the Atlantic. 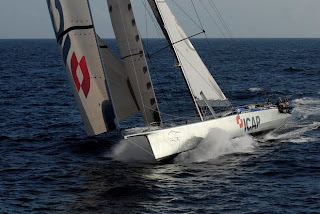 ICAP Leopard’s weather router, the internationally renowned Roger “Clouds” Badham, yesterday informed the crew that a suitable weather window will open on Saturday and Chris Sherlock, skipper and boat captain, took the decision to pull the trigger on the record attempt. Throughout the night ICAP Leopard’s berth in Newport, Rhode Island has been a hive of activity as final preparations were made, provisions taken onboard and the assembly call was fired out to ICAP Leopard’s highly experienced crew of ocean record-breakers. 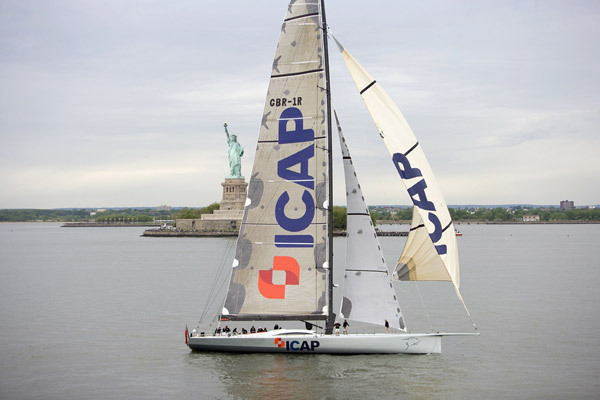 Amongst the crew currently flying to New York are some familiar faces such as Ericsson four crewman Guy Salter, experienced watch leader Mark Thomas and veteran navigator Hugh Agnew, but also several new members of the ICAP Leopard team. 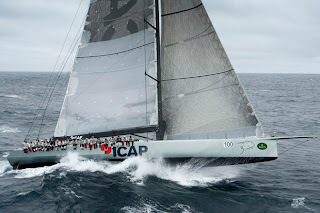 This newer contingent includes English bowman Freddie Shanks and Aussie watch leader Anthony “Youngster” Merrington, both fresh from the Green Dragon campaign in the 2008-9 Volvo Ocean Race. Also onboard will be world-renowned ocean racing experts Justin “Juggy” Clougher, Michael Joubert and Guillermo Altadill who have amassed no fewer than 11 Whitbred / Volvo Ocean Races between them. Together they will be sure to add considerably to this already highly accomplished crew. The benchmark that ICAP Leopard will be aiming for is the outright monohull west to east transatlantic record of six days 17 hours and 52 minutes, set by Mari Cha IV in 2003. This means that ICAP Leopard will have to keep up a fearsome pace but navigator Hugh Agnew is confident that they have the weather for it.